Read what our patients are saying about Clarus. We’d love to hear from you, too; click the button below to add your own review. I went in because I was experiencing acne after going off of bc pills. He Dr. Roelke prescribed me something and explained exactly what it did and if there were any possible side affects. He always made sure my questions were answered and if I had any other skin questions other than what I originally came in for. Great doctor! My husband was seen recently by Dr. Roelke for some skin growths. He was so nice explained what each spot was and if he thought it was pre-cancer or something else. He removed 4 different areas and told us he would let us know the results in about a week for all of them. His assistant that day was Bailee she was great very easy to talk to and she explained things to us very well. We use to go to associated Skin Care but now Clarus is our clinic easy to make appointments and the appointment went fast and easy no over booking. I am very happy with Dr Roelke! I had gone to my dr at North Memorial clinic because of a skin growth that was getting bigger. He thought it was skin cancer, sent me to Dr. Roelke, who comes to a NM clinic one day a week. Dr. Roelke told me it was a non melanoma cancer but needed to be removed. I went to their St Anthony clinic and had the cancer surgically removed. Dr. Roelke was and has been so nice and caring. The nurses and staff are great too. This is now my dermatology clinic and Dr Roelke is my dermatologist for future check ups. My primary physician could not diagnose my current condition and referred me to see a dermatologist. After visiting Dr. Shah, he immediately put my worries to rest and was able to quickly explain, diagnose and suggest a treatment for my rash. I will defiantly be using Clarus for any future needs and be recommending him to my family and friends. After years of seeing several different dermatologists for a recurring scalp condition and never getting good results, I went looking on the internet for a new doctor. I found Clarus Dermatology and Dr. Shah. I told my wife that Dr. Shah had a caring looking face and made an appointment to see him. My initial assessment was correct; he is caring, confident, professional and so easy to talk to. My scalp condition is now under control for the first time in at least 20 years. I've seen him several times now and am 100% satisfied with him and his staff. If anyone needs a great dermatologist, Dr. Shah is the one to see. I would highly recommend him to anyone. I met with Dr. Shah and his staff regarding a skin issue. Everyone was personable and professional. Dr. Shah quickly diagnosed my problem and thoroughly explained what we needed to do to resolve it. He happily answered all of my questions and didn't make me feel rushed as if he had to get to his next patient. His expertise is readily apparent and I like the confidence he projects. There is no question that I would return if the need arises! 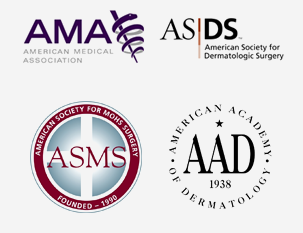 I am a practicing dermatologist who was involved in the residency training for both Dr. Shah and Dr. Roelke. I am very proud of both of them. I recently visited Clarus dermatology. It is well run, reputable, clean with very devoted polite staff. I suspect that is because both physicians are respectful medical doctors and employers. I routinely refer patients to them and would send any of my family members to them. Dr. Roelke did my CO2 laser treatment. He was informative as to what would happen, during and after the procedure. I was very impressed and thankful that him and his team were very professional and showed they cared and were concerned about me. The procedure was beyond my expectations for results and am very pleased. I recommend Clarus to anyone. Thank you. Dr. Roelke was my doctor for CO2 laser facial procedure. He was very attentive & knowledgeable to my concerns and my after care. The Dr. and his staff were professional, friendly and cared about me. I recommend him and this clinic to everyone. The incredible Dr Shaw of the Clarus Dermotology Clinic, St Anthony , Mn. Attention Psoriasis sufferers!!!! I had been previously been diagnosed with all three types of this horrible disease! 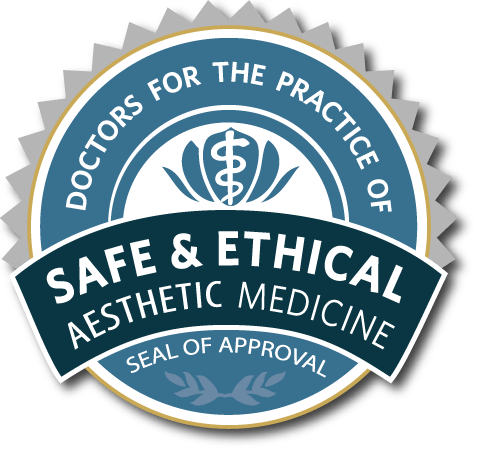 Spent hundreds of thousands of dollars on every cream, laser treatments, six months 3 x weekly at $380 per treatment, Enbrel injections with no results! Was referred by ER Dr at Maple Grove North Memorial Hospital after major flare up! Was prescribed Acitretin, a single daily dose pill! By day two my dead layers of skin was already coming off in sheets! By two weeks my skin is remarkably clear! In conjunction with the one pill he suggested I continue with Clobetasol Propionate Ointment previously prescribed to be used with Enbrel injections! This cream can gradually be limited to only problem or risidual areas! This pill is not new to the market! Have any of you ever heard of it before? Could be that because of miraculous results that most Dr's don't want to prescribe it because they want to keep you coming back? No side effects have been noticed! For you that suffer from Psoratic RA it does not interfere with most RA medicines either! Check with your Dr! I highly recommend this doctor and clinic! I'm extremely thankful for my experience at Clarus Dermatology. In the past, my derm visits (other clinics) involved long wait times to be seen, inaccurate diagnoses, and brief patient interaction. Dr. Roelke took the time to listen to our symptoms and seemed to genuinely care for our well being. Most importantly, he knew exactly what we needed! From my sons warts and cafe au lait mark to my aging skin spots and dermatitis. We'll definitely be back. Dr Shah and his team are the best. Dr. Shaw & staff removed a melanoma from my hand several months ago & have seen me for follow up on several occasions. You can hardly see the scar from the surgery & everything has gone well. I have never had to wait to be seen & have always been treated with respect and concern. I would recommend Dr. Shaw & his assistant, Linda, to anyone in need of dermatology. I only hope he can retain his positive outlook & skill. W. K.
Had my first visit with Dr. Roelke today. I came in to have a growth checked and he was fantastic. Great bedside manner: personable & caring. The nursing staff were friendly and things ran on time! I'll be back. Our neighbor recommended Clarus Dermatology. The whole staff was welcoming and very professional. We were very happy and satisfied with our first consultation. Thank you! I was able to secure an appointment right away and the service was exceptional, affordable and professional. I had some age-related brown spots removed from my face without pain, I had tried many cosmetic solutions applied to surface and none had even lightened those spots so I am very pleased. Excellent patient first service. Clean and knowledgeable staff, wonderful bedside manor. I highly recommend.